The morning speakers at The European Pellet Conference all outlined continued strong growth for both global pellet demand and production. The European Pellet Conference in Wels, Austria opened its 2014 event with a field day featuring some of Austria's biggest operators in the biomass-to-energy industry. The European Pellet Conference concluded on Thursday February 27, 2014 in Wels, Austria with a country by country market analysis moderated by the Executive Director of the Wood Pellet Association of Canada, Gordon Murray. A new study by the University of Georgia has determined that the greenhouse gas (GHG) intensity of a unit of electricity generated in the U.K. using imported wood pellets is at least 50 percent lower than fossil fuel-derived electricity. Promptly implementing New York's recently announced Renewable Heat NY, Gov. Andrew Cuomo has announced 18 projects that will receive program funding to help install high-efficiency, low-emission wood-fired heating equipment. Drax Group plc has released preliminary financial result for 2013, reporting that earnings were ahead of expectations, reflecting good operations and healthy spreads. The company also announced it will consider adding additional pellet capacity. Findings at the USDA are providing information about the soil carbon dynamics that play a crucial role in lifecycle assessments of bioenergy production. These studies at support the USDA priority of developing new new sources of bioenergy. Heyl & Patterson Inc. has announced the sale of an indirect-fired rotary calciner to the University of Minnesota, Duluth's Natural Resources Research Institute.It will be used to transform wood biomass into torrefied wood, or "biocoal." A consortium consisting of Topell Energy, Essent, Nuon, GDF SUEZ, and ECN has successfully completed a large-scale cofiring test with an innovative renewable energy source at the Amer power plant in Geertruidenberg, Netherlands. Zilkha Biomass Energy LLC and Valmet Corp. have signed a five-year collaboration agreement in the field of steam exploded black pellets. The purpose of the agreement is to bring steam exploded black pellets to the market. Up-to-date Pellet Plant Data Now Online! 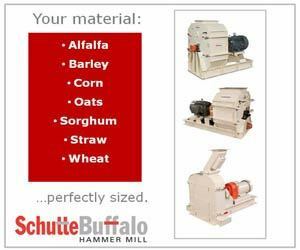 The Biomass and Pellet Mill magazine team reached out to every proposed, under construction, and existing pellet plants in the U.S. and Canada to reaffirm the trove of data that we keep on North America's expanding pellet industry. Lantmannen and Neova AB are merging their respective wood pellet businesses. The new company will include Neova's wood pellet business in Sweden and the corresponding Lantmännen Agroenergi businesses in Sweden and Latvia. President Obama signed the 2014 Farm Bill into law during a Feb. 7 ceremony at Michigan State University. During his speech, Obama also announced the launch of a new "Made in Rural America" export and investment initiative. The wallets of homeowners across the nation using propane or heating oil as a fuel source have likely taken a big hit this winter, due to unusually cold temperatures, compliments of the polar vortex, and frequent storms.